Christian Hesse's book The Joys of Chess: Heroes, Battles & Brilliances, published by New in Chess, was endorsed by the world champion Vishy Anand and Vladimir Kramnik. It is a compilation of chess stories, biographical sketches, games and fragments with references to art and science. The author is a professor of mathematics, and the book was first published in German. It resembles work previously done by Tim Krabbé, a prominent Dutch writer, on his website Chess Curiosities. Krabbé was born in the same year as Bobby Fischer (1943) and on the same day as Garry Kasparov (April 13). The combination of the two could have made him a strong chess player, but when he reached 30, Tim exchanged chess pieces for a bicycle and began to race. And he didn't stop for nearly 40 years. "Next season will be my last," he wrote. "As a racer, that is -- I'll keep riding until I drop off the wonderful machine." His real work, as he puts it, is writing fiction. He wrote 17 books, and four of them were made into movies, including The Vanishing. His chess legacy is his fascinating website -- a collection of unbelievable stories, records, games and compositions that he began publishing in the Schaakbulletin and Chess Life and Review in the 1970s. This incredible wealth of chess ideas could be measured in megabytes and would produce several books. His cycling legacy is Tour du Mont Aigoual, a race created after his bestseller The Rider. In 1977, Krabbé found Mont Aigoual, a mountain in Southern France. He rode up and wrote about it, and the book became an instant classic. I was recently in Reno, Nev., a cyclist's paradise where riders have their own lanes and where a question about Tim's book, "Did you read The Rider?" is answered with another question: "Who didn't?" It was around Reno where the three-time Tour de France winner Greg LeMond trained, climbing the highest local peak of Mt. Rose getting ready for the French Alps. Krabbé didn't need the Alps nor the Pyrenees; his one mountain was enough to draw crowds for the annual Tour du Mont Aigoual race, where some riders are pedaling up and up with Tim's book in the back pocket of their jerseys. One could wonder why Krabbé left the cozy indoor world of chess competitions for the cruel outdoors, often freezing in nasty weather. It must be the enjoyment of suffering, as he once explained: "This was the suffering I had yearned for, the glow of exhaustion that doesn't need to wait for a finish line to become pleasure." When he recently rode his bike into a big storm, twice he was almost blown into a river, and twice he had to climb over a fallen tree that blocked the road. "Rough country, the Netherlands," he wrote. There is no physical punishment in chess; suffering goes on inside the mind. You defend a bad position for hours, you suffer. You lose, you suffer like in any other sport. Suffering euphoria comes when the opponent blunders in a winning position, but it is undeserved. Perhaps there is a common thread in sports and chess. Krabbé experienced both worlds and does not believe that you should have mercy with an opponent that suffers. When the Czech grandmaster David Navara was about to deliver a checkmate against Moiseenko at the 2011 World Cup and offered a draw instead, Tim called him a mistaken gentleman. 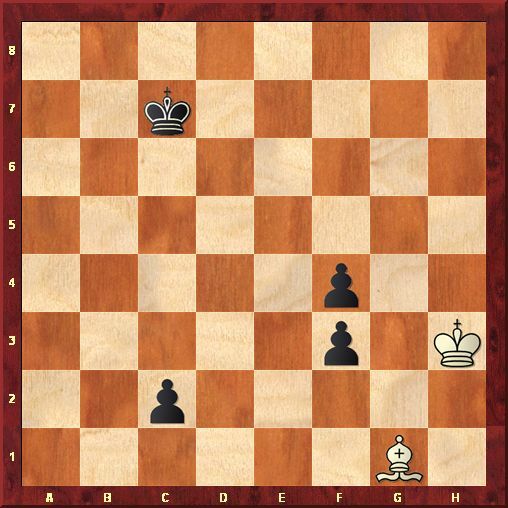 Navara tried to compensate for the incident that happened earlier in the game: he was about to make a bishop move, but reaching for his bishop, he accidentally clipped his king. The story got a great deal of publicity, and we covered it in the article "The Hand of God in Chess?" Krabbé's opinion was clear: "To take pity on an opponent is against the spirit of sports," he wrote to me, reminding me of a story from the tournament in Wijk aan Zee in 1970 he published on his website. Although I played in the event, I have forgotten all about it. In a winning position after 54 moves, white could have played 55.Rd7 and after, for example, 55...Qb6 56.Rd8+ Kh7 57.Qd3+ Rf5 58.g4 would clinch the victory. Instead, Platonov blundered with the immediate 55.Rd8+?? and after the shocking 55...Re8+ (check!) he was losing a rook, since 56.Rd6 is met by 56...Re6. Cortlever played the rook check, but immediately offered a draw, which was accepted by Platonov. "We think that Cortlever's sportsmenlike reaction deserves respect and admiration," Barry Withius wrote in the tournament bulletin. "Personally, I despise this sort of chivalry," wrote Krabbé. "It's in the spirit of all sports to take advantage of your opponent's weaknesses within the rules. Sport is hard, sport is cruel, sport is about taking advantage of mistakes, making the opponent look pathetic -- not about moral excellence. It should be no different in chess." He concluded: "Cortlever should have been thrown out of the tournament." Krabbé wrote most of his chess stuff as diary entries. He always pays a great attention to details in his writings. Words have precise order, and he is fascinated by numbers. He may note, for example, that his favored Japanese writer Haruki Murakami ran more than 40 official marathons, clocking 3 hours and 25 minutes as his best time. In the 2006 Boston marathon Murakami finished 15,454th out of 19,682 participants. Krabbé would know about the Kenyan, Geoffrey Mutai, who broke the record of this world's oldest annual marathon this year, being pushed by the tailwind to the finish line at 2 hours, 3 minutes and 2 seconds. The sporting methaphors are used by both Krabbé and Hesse. Discussing the Babson task, a mutual symmetrical promotion considered to be the most fascinating and difficult theme in chess composition, both writers praised the 1983 work by Leonid Yarosh, a former soccer coach, who solved the task 70 years after the challenge was set up. It was a quantum leap, but when it was first published, it was hidden on a page with other eleven diagrams -- the great supersymmetry barely noticeable. Krabbé, who spent a lot of time researching the Holy Grail of Chess Art, wrote: "Yarosh hadn't just broken the world's 100-meter record, he had set it at eight seconds flat." As the Dutch GM Hans Ree pointed out, Hesse used a variation of Krabbé's statement: "It is as though someone had not only beaten Bob Beamon's 8.90m world long jump record, but at the same time stretched it to over 10m." 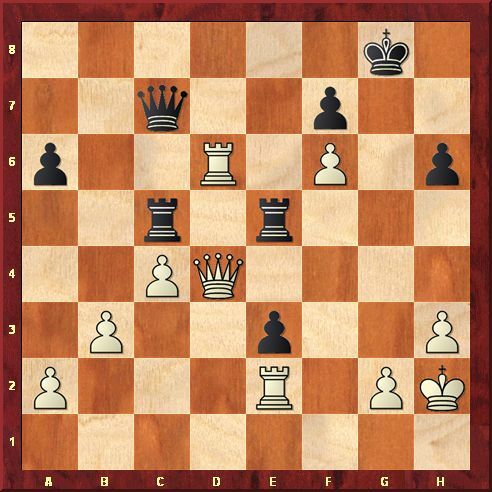 And a knight: 1...axb1N 2.axb8N Nxd2 3.Qc1 Ne4 (Or 3...Nxc4 4.Rxf4 mate.) 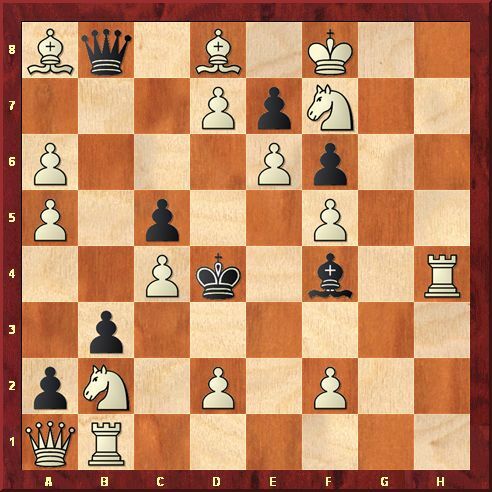 4.Nc6 mate. Do You Want to Defeat Steinitz? You can spend many pleasant hours reading the work of Krabbé and Hesse. It is clear that they both enjoyed creating it and that it was done it with love, joy and great enthusiasm. Krabbé started his website because he wanted to communicate with his readers and provide updates. The readers can search for their favored topics. Hesse groups ideas together, creates themes and writes small essays. Sometimes he is less precise and leaves his stories open-ended, vague and mysterious. There is a problem with the problem. Hesse states that the author's name is Pulitzer and gives the publishing date as 1907 -- seven years after Steinitz's death. Was it one of the divine communications Steinitz used to have between heaven and earth? Who was this Pulitzer? It could have been Joseph Pulitzer, who created the coveted Pulitzer prize, honoring excellence in journalism and the art. He played pretty aggressive chess, but it was not him. It turned out to be Walter Pulitzer (1878-1926), who published the problem in his 1894 book "Chess Harmonies," a work he produced with less than three years of experience in chess composing. 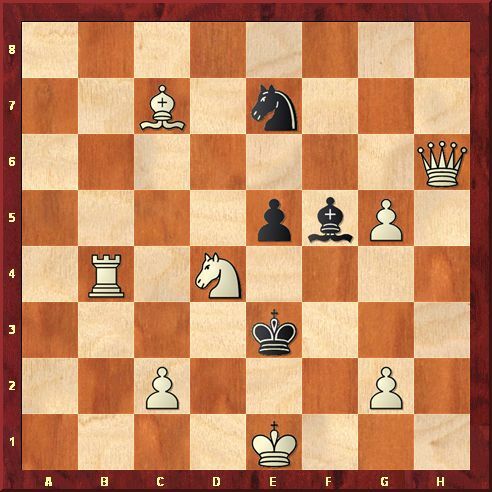 His two-mover was reprinted in 1907 in Lasker's journal, The Chess Player's Scrap Book. Krabbé did a thorough research on a study by the Ukrainian composer Tigran Gorgiev (1910-1976) and the interaction with a Dutch musician G. Preuyt. It was also adopted by Hesse. The story deserves a special article, but for those who want to have a head start, here is a fragment from that study. The solution (together with Pulitzer's problem) will be published with the next article. Hesse's book was on the short list of the 2011 English Chess Federation Book of the Year Award, but was eclipsed by John Nunn's winning work Nunn's Chess Endings, Volume 1 and 2. The English grandmaster, who sacrificed a brilliant career in mathematics to become one of the leading grandmasters in his country, dissected the endgames with surgical precision, correcting and refuting previous analyses. The cover of the book reflects his love of astronomy. We have mentioned the work after it was published last year by Gambit Publications.